Estée Lauder has been a powerhouse in the beauty industry for over 50 years. Today, it is both a cosmetics brand and a multinational company. As one of the largest skincare and makeup organizations in the world, it sets the tone and trends of the beauty marketplace. Estée Lauder cosmetic, skincare, and fragrance products are widely available throughout the US. You can find them at all major department stores and on many websites. Estée Lauder: When you purchase from the official Estée Lauder site, you get the benefit of browsing the full collection of products. You'll also easily see the latest products and get free shipping and free return shipping when shopping directly from the brand's site. E-Cosmetic World: This online beauty store offers free shipping on any order. Browse the Estée Lauder brand's products by featured items, new products, or by type. Amazon: You may want to consider shopping Amazon to find the brand's products at a discount, or find discontinued items. Macy's: Shop by category or browse customer favorites at Macy's. You can also find special offers such as free gift with purchase events and free shipping over certain dollar amounts. Nordstrom: Shop by collection or product type at Nordstrom's. A handy feature of shopping this department store's website is that it offers a store availability tool, so you can find out which stores have the products you want. Belk: Look for the 'Voted Best' symbol next to select Estée Lauder products at Belk to find out which products are best-selling favorites. Neiman Marcus: Shop by product or collection, or browse the Beauty Essentials for popular product picks from the line at Neiman Marcus. Bloomingdales: Bloomingdales' online shopping features make it easy if you are looking for specific products, because you can sort according to price, type of makeup or product, and even scent for fragrances. Saks Fifth Avenue: Narrow your selection by collection, skin care need, special offers, or what's new from Saks. Dillards: Color selection options make it easy to find this brand od cosmetics according to hue, or browse by collection or price. The Estée Lauder product line is vast. Renowned for elegance and quality, they produce a large range of cosmetics, skincare, and fragrances to suit the varied needs of their tremendous (and very loyal) customer base. Estée Lauder offers a full line of cosmetics in several signature collections, including their Pure Color Collection. Products are available in multiple colors to compliment all skin tones. Face: Estée Lauder is famous for their limited edition collectible compacts. They also have a selection of foundation, powder, blush, bronzer, concealer, and primer in multiple shades, many of which are available in powder, crème, or liquid form. Eyes: You can find eyeliner, eyeshadow, brow pencils, and mascara in all the standard colors, as well as some more adventurous ones. Lips: Lipstick, lip gloss, and lip pencils are all available in numerous shades of pink, red, purple, and brown. Nails: Estée Lauder has several classic shades of nail polish in their Pure Color Collection. Tools: In addition to brushes for the face, eyes, lips, and brows, Estée Lauder also makes sharpeners and sells compact applicator refills. Estée Lauder's extensive skincare line offers products to suit all skin types and needs. 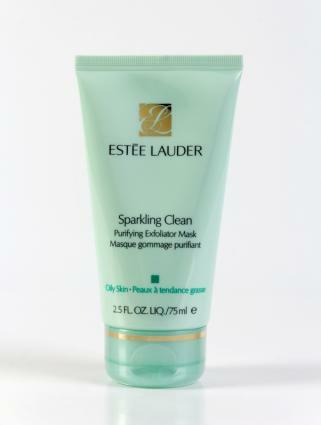 Cleansers and Toners: Perfectly Clean, Soft Clean, and Sparkling Clean are the company's line of cleansers and toners for normal, dry, and oily skin types. Makeup Removers: The skincare line offers a couple of options for makeup removal. You can choose the newer towelettes or stick with the more traditional liquid remover. Moisturizers: Multiple facial moisturizers are available to suit many skin types. Choose a moisturizer that suits your age and hydration needs from lines like Hydrationist and Time Zone. Many of the face creams have SPF 15-35. Hand and Body: Estée Lauder Body Performance cream is available for the body and hands and feet. Masks and Exfoliators: The Idealist Dual Action Refinishing Treatment and Resilience Lift Extreme Ultra Firming Mask are great ways to keep your skin looking young and fresh. Reparative: The brand provides a full range of serums and creams to help minimize pores, lift and firm skin, minimize and prevent wrinkles, and even out skin tone. 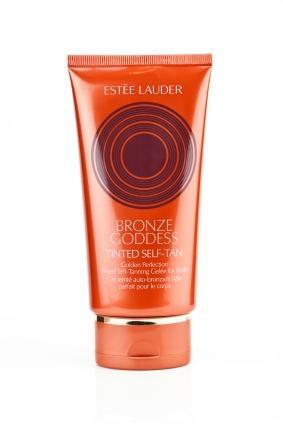 Sun Care: The Bronze Goddess line contains sun block and self-tanning products for the face and body. Re-Nutriv is a line of makeup and skincare with reparative and anti-aging properties. Makeup: Re-Nutriv offers several foundations, powders, and concealers that simultaneously cover and repair. Skincare: There are a number of cleansers, serums, and cremes available in the Re-Nutriv line that firm, lift, and correct. Youth-Dew: As the companies first fragrance, it has long been a best-seller. You can still purchase it in the original bottle. Beautiful: One of the companies most popular scents, you can find Beautiful in three variations. Pleasures: There are currently five varieties of Pleasures available. White Linen: One of Estée Lauder most well-known fragrances, you can find White Linen in it's original form as well as two updated versions. Sumptuous: This is the brand's latest take on mascara. It's available in Sumptuous Two Tone and Sumptuous Extreme. Bronze Goddess: The perfect summer scent, Bronze Goddess and Bronze Goddess Capri Eau Fraiche Skinscent are limited addition fragrances. Invisible Fluid Makeup: The newest foundation is lightweight, provides medium coverage without the look and feel of heavier foundations, and is available in about 15 shades. Mad Men Collection: Inspired by the hit TV series, the Mad Men Collection is a limited edition of vintage-perfect crème rouge and lipstick. Perfectionist [CP+R]: The newest addition to their array of anti-aging skin products, Perfectionist CP+R is a firming serum that promises to visibly reduce the appearance of lines and wrinkles. 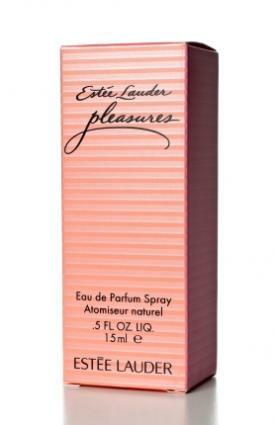 Estée Lauder was the daughter of Eastern European immigrants. Always passionate about beauty, she solicited the help of her uncle, a chemist, in creating her first jar of skin crème. From that first jar came a successive line of skin care products that would become the foundation of the company, Estée Lauder, which was founded in 1946. Her success is credited not only to her love of the industry, but also to her innovative sales techniques, including pioneering the concept of free samples. In 1953, the company exploded with the introduction of its' first fragrance, Youth-Dew, and began its' growth into the giant it is today. Estée Lauder is now managed by Estée Lauder Companies, Inc., an international corporation producing other well-known brands such as Clinique and Prescriptives. Estée Lauder's main charity organization is the nearly twenty-year old Breast Cancer Awareness Campaign. Evelyn Lauder founded the group to help increase awareness, promote early detection, and raise funds for research. The company uses their Pink Ribbon Collection, from which 20 percent of the sales goes to The Breast Cancer Research Foundation to help further the cause. They are the largest sponsor of the The Breast Cancer Research Foundation and 85 percent of the money collected goes towards research grants and awareness programs. The Estée Lauder cosmetics brand is known for it's excellent quality products, and has long been a trusted brand. The large collection of products offers something to meet every woman's individual beauty concerns. For more about the brand and products, including style guides and helpful how-to tools like virtual skincare and makeup tools, visit the official Estée Lauder website at www.esteelauder.com.